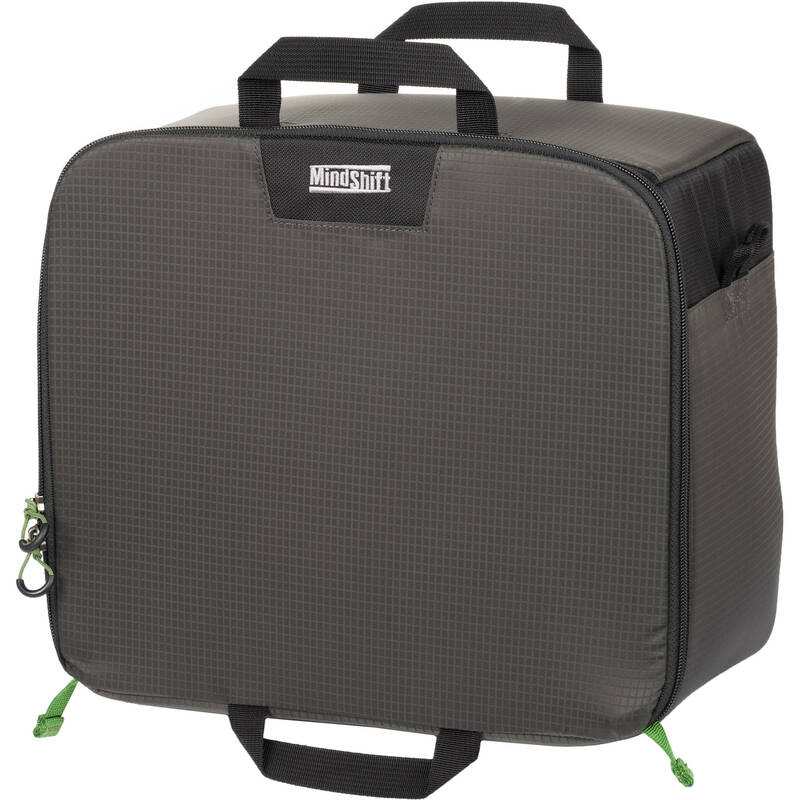 The Stash Master 13L from MindShift Gear is a camera equipment pouch that provides the ability to organize and consolidate cameras and lenses within a 26L, 36L, or 45L MindShift Gear BackLight-series backpack. It also creates additional space for personal items such as packable clothing, food, or other outdoor survival essentials. With 13L of capacity, this equipment pouch and its seven touch-tab dividers can accommodate a DSLR camera, a 70-200mm zoom lens, and three additional lenses. Alternatively, the Stash Master 13L can be configured to hold two DSLR cameras, a 70-200mm zoom lens, and two additional lenses. For users of mirrorless camera systems, this equipment pouch can hold two camera bodies with 70-200mm zoom lenses as well as five additional lenses. When used inside a compatible backpack, the zippered opening of the Stash Master 13L can be aligned with the backpack's rear-facing zippered panel for seamless accessibility to the cameras and lenses inside. The Stash Master 13L is designed to rest along the base of a backpack it is placed in, allowing the space above it to be reached through the backpack's rear-facing zippered panel or top opening. 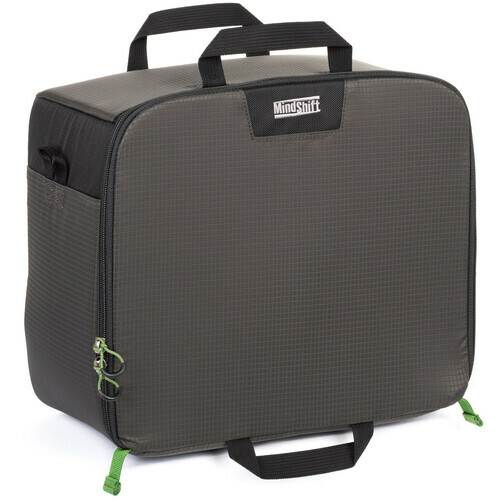 Featuring durable polyester and nylon construction, foam cushioning, three exterior handles, as well as accessory loops that can accommodate a separately available shoulder strap, the Stash Master 13L can serve as a practical, stand-alone carry solution when needed. Box Dimensions (LxWxH) 12.4 x 12.2 x 7.3"